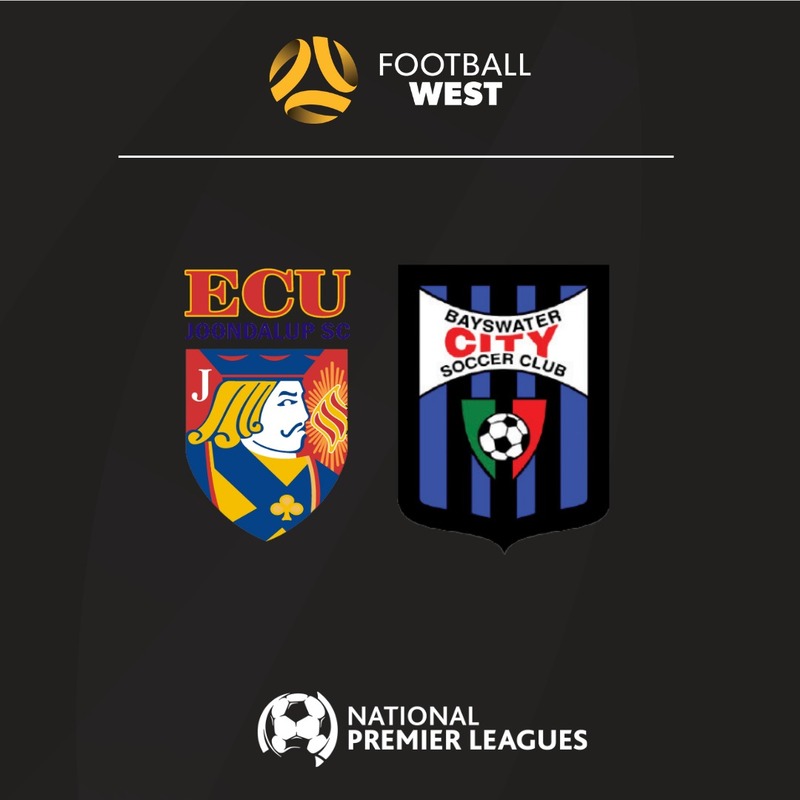 ECU Joondalup and Bayswater City have fought out a scoreless draw in week five of the NPL WA at the ECU Football Stadium on Saturday afternoon. The visitors had the better chances on the day but ECU held firm to secure the point, with defender Shane Cassidy outstanding at the heart of their back four. 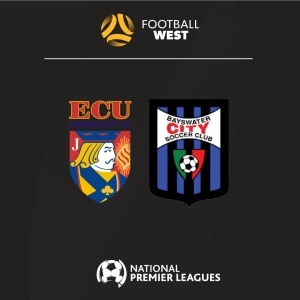 Both sides needed the points after lacklustre starts to the season and it was Bayswater on the front foot early and former ECU striker Gordon Smith went close to opener on five minutes, but his shot on the run was well blocked by teenager Ewan Fawcett. Bayswater went close again on 22 minutes, another former ECU player Daryl Nicol’s snap shot whistled over the top. The home side went close themselves on the half hour, Andy Higgins’ free kick was helped on by Joe Knowles, and Jakub Sklenar’s flick was over the top. The best chance of the half fell to Bayswater four minutes before the break. Ross Millard’s ball into the penalty area found Smith at the back post, but the Scottish strikers shot was well saved by Scott Wallis. Bayswater thought they had a penalty early in the second half when Smith was brought down by Ronald Rixer, but referee Julian Serra was well placed and he waved away their protests, much to the frustration of the Bayswater bench. It was the visitors who were on top and Giordano Colli’s shot was well saved by Wallis, and moments later Smith’s shot on the run flashed inches over the top. Then it was Nicol to go close, after good approach work from Millard and Smith, but the 2018 NPL WA leading scorer failed to find the target. ECU have conceded goals late in the final minutes in the past two weeks, but it was them who almost scored late. Tom Hough sent Richard Howles racing down the right, his ball into the box was almost turned into his net by Adam Tong. Then from the resulting corner Sklenar’s header was cleared off the line by Paul Lloyd, but at the whistle it was both sides sharing the spoils.